Just as we discussed at last article, turning is an evolution of lathe. And now in our industry, turning plays a more and more important role in CNC machining parts process. 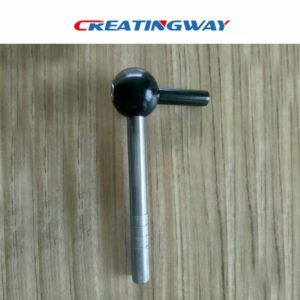 In the following, Creatingway will share more several operations that we can do at turning machine. Because of those operations, we can make more and more different sizes, different shapes, different functions product. Threading is an act of making thread on the product. It is always used to produce external or internal threads on a part. Facing is an act of cutting a face. Usually, the surface is planar, then onto the work piece. It is used to produce flat surfaces on the end of a part. The two most common types is turning and boring work. Knurling is a manufacturing process which is cut or rolled a pattern of straight, angled or crossed lines into the material. It has several types: annular rings, linear knurl, diamond knurl, straight knurling. It is always used to produce a regularly shaped roughness on cylindrical surfaces. Boring is a process by enlarging a hole which was already drilled. The most common types of boring is line boring and back boring. It is always used to enlarge a hole or cavity to produce circular, internal grooves. Except above operations, there are still reaming, taper turning and so on. So to make a shape of part which is required by customer, we will use one or several operations. It needs us to master more knowledge of cnc turning machining and uses flexibly. 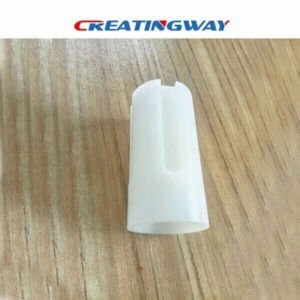 Creatingway always continuously sharing more these cnc machining knowledges to our customers, so they will be easy to know how we will machining their projects, and how will make their project perfect, starting your next new project inquire now.